Globe Telecom provides FREE Wi-Fi services in all 20 LRT stations as part of its commitment to address growing customer demand for constant connectivity. The agreement is expected to benefits the more than 400,000 passengers daily. Under an agreement signed by Globe and the Light Rail Manila Corp. (LRMC), the concessionaire of the Light Rail Transit System-Line 1 (LRT1), the telecommunications provider agreed to provide Wi-Fi services that will be accessible to LRT1 all passengers and employees. Globe will also provide fiber optic cable system that will extend the length of the entire LRT 1 and cover all LRT stations and LRMC’s depot in Pasay City. In addition, the telco provider will also enhance its wireless infrastructure by deploying cell sites in each of the LRT stations. They will also deploy the new LTE 700/1800/2600 MHz spectrum to provide adequate capacity to handle the massive mobile traffic volume at these stations. Globe recently gained access to the 700 MHz band and acquired additional allocation in the 1800 MHz and 2600 MHz frequencies following its recent joint buyout of San Miguel’s telco assets. The deployment of fiber optic cables and enhancement of the company’s wireless infrastructure along LRT 1 would improve mobile coverage and enhance network capacities. Once completed, this is expected to improve customer experience not only of customers riding LRT 1 but also those plying the Taft Ave. and Rizal Ave route. 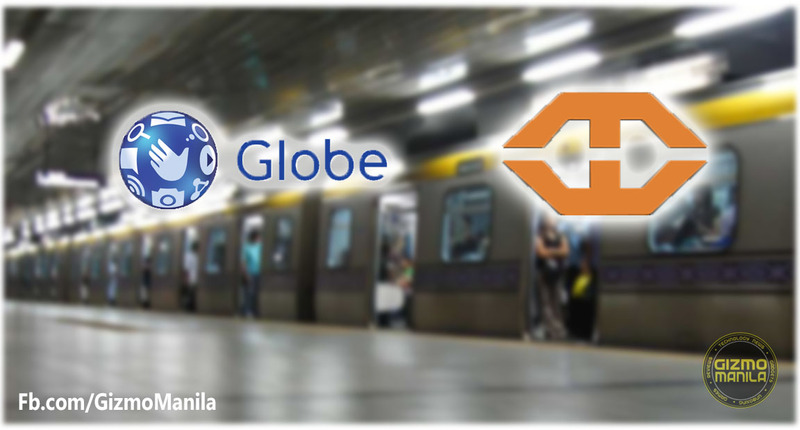 In early June, Globe also signed a similar agreement to provide free Wi-Fi connectivity in all 13 MRT stations along EDSA. Globe has set aside for 2016 a capital expenditure of $750 million, bulk of which will be used to boost data capacity and expand network reach. In line with its vision of ushering in a digital nation, the network build will also increase the capacity of its network for both mobile and wire lines using different technologies including 3G, LTE and Wi-Fi. To know more about Globe newest services, visit globe.com.ph.